Check them out while you’re waiting for Keanu Reeves to reprise his role as John Wick on February 10th! Plus, don’t forget to check out our fun trivia on the movie! Machete is a 2010 action movie, with its sequel in 2013 titled Machete Kills. The movie is about Machete Cortez, an ex-Mexican Federal, who was betrayed by Michael Booth, who hired Machete to assassinate John McLaughlin, a corrupt state senator from Texas. This betrayal causes Machete to set out to get revenge against Booth. Machete stars Danny Trejo as Machete, Jeff Fahey as Michael Booth and Robert De Niro as Senator John McLaughlin. Faster is a 2010 action movie that focuses on John Cullen, a criminal who has just been released from prison, and is being tracked by Slade Humphries, a veteran cop with a heroin addiction and a history of deep, dark secrets. Faster stars Dwayne Johnson as James Cullen and Billy Bob Thornton as Detective Slade Humphries. Drive is a 2011 neo-noir crime movie that is based in the 2005 book of the same name by James Sallis. The movie focuses on an unnamed Driver, a mechanic/Hollywood stuntman who lives a double life as a getaway driver, along with Shannon, the owner of the body shop where Driver is employed. Drive stars Ryan Gosling as Driver and Bryan Cranston as Shannon. The Equalizer is a 2014 neo-noir vigilante action thriller movie that is based on the television series of the same name that aired for 4 seasons, from September 18, 1985 to August 24, 1989. The movie showcases the life of Robert McCall, a retired black ops operative who wants to put his life behind him and enjoy some peace and quiet. That is until he meets Alina, a woman who is under the control of the Russian Mafia and McCall decides he needs to help her become freed. The Equalizer stars Denzel Washington as Robert McCall and Chloe Grace Moretz as Alina. Run All Night is a 2015 action crime thriller movie. The movie centers on Jimmy Conlon, a former Irish mobster, who has an estranged relationship with his son, Mike Conlon. Jimmy finds himself in a situation where he must choose between his loyalty to Mike, who is currently in trouble, or his loyalty to Shawn Maguire, Jimmy’s closest friend and former mob boss. Run Al Night stars Liam Neeson as Jimmy Conlon, Joel Kinnaman as Mike Conlon and Ed Harris as Shawn Maguire. 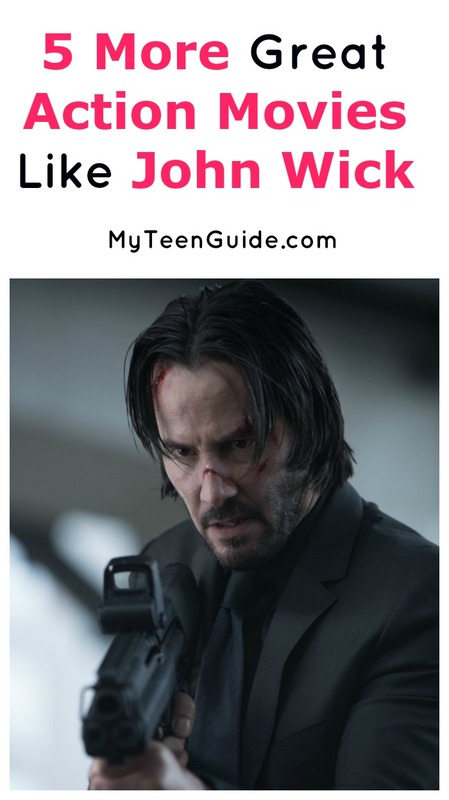 Have you seen any other good action-packed movies like John Wick: Chapter 2? Let us know below!